Isaac D’Israeli, father of Benjamin Disraeli, a two-time British prime minister and a novelist, is much less known today than his renowned son although throughout the 19th century he enjoyed deserved recognition and respect as one of the most learned men of his time. Although he lived during the Romantic period, he belonged spiritually to the Age of Reason because his mind was shaped by Spinoza, Voltaire, Rousseau, Pope, Dr Johnson and Goldsmith. D’Israeli the Elder was a religious skeptic, scholar, antiquarian, bibliophile, literary commentator and an imaginative writer, who published numerous literary miscellanea, two volumes of poetry, a collection of romances and three novels. He had an amiable personality and a brilliant mind: Byron, Scott and Southey admired and loved him. In 1818, Lord Byron wrote to the publisher John Murray about him: ‘I have great respect for Israeli and his talents, and have read his works over and over repeatedly, and have been amused by them greatly and instructed often’ (Pomare 39). 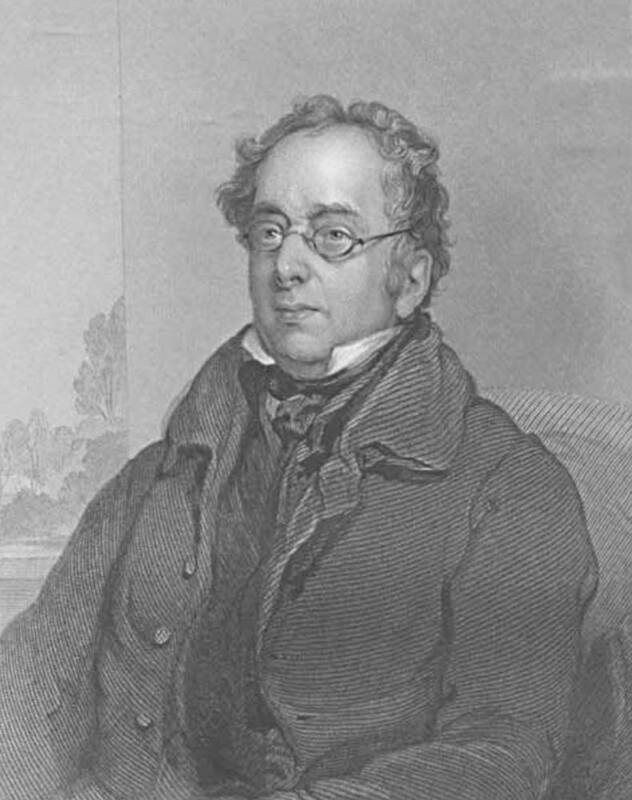 He was a frequent visitor to the publisher John Murray and soon gained recognition as one of the most important bibliophiles of his time. When he lived in the Adelphi, he met many writers and publishers in the Reading Room of the British Museum, and became a well-known figure in London literary circles. In about 1790, he met Francis Douce (1757-1834), an antiquary and collector, who also spent a great deal of his time immersed in studies in the famous Reading Room. Douce encouraged him to pursue in his literary researches. D’Israeli was also one of the earliest members of the Athenaeum, a ‘club for Literary and Scientific men and followers of the Fine arts’. A group of his friends and acquaintances included Lord Byron, whom he had met before he became a famous poet (Jerman 157). His other acquaintances included Robert Southey, Sir Walter Scott, Jeremy Bentham, and publisher John Murray II. In his political opinions Isaac D’Israeli was conservative and opponent of the Whigs, but he did not express it openly, except for his condemnation of the French Revolution and support of the removal of the Jewish disabilities. Isaac was born at Enfield, Middlesex, on 11 May 1766 into a wealthy Jewish family. His parents were Benjamin D’Israeli (1730-1816) and his second wife Sarah Syprut de Gabay Villareal Disraeli. The ancestors of his father were the exiled Spanish Jews (Sephardim), who settled in Italy after their expulsion from Spain in the 15th century. Isaac’s father emigrated to England in 1748 at the age of 18 and soon established himself as a successful merchant importing Italian straw hats, marble, alum, currants and similar merchandise. In 1801, he became one of the founders of the London Stock Exchange. The ancestors of Isaac’s mother fled the Inquisition in Portugal in 1730 and soon after emigrated to England (Spector 128). Little is known about Isaac’s early education. His first teacher was a Scotchman, named Morison, who ran a preparatory school in the neighbourhood. The young boy did not appear to have made much progress in his studies. Although he developed a passion for reading in his early boyhood, he was averse from regular study. At the local school he learnt nothing more than a little Latin. Neither did he inherit the commercial spirit of his father Benjamin. Instead, Isaac felt an inclination to cultivate letters. At the age of fourteen he began to write verse, which dismayed his father, who decided to send him immediately abroad in the hope that change of place would wean his mind from this unprofitable occupation. Benjamin D’Israeli, the father, expected his son to pursue a career in commerce and before 1780 he consigned him to the care of his agent in Amsterdam, who arranged a private tutor for him. The tutor turned to be a Voltairian and instilled in the mind of young Isaac the principles of the Enlightenment. Next Isaac studied at Leyden, where instead of serving an apprenticeship in commerce, he became acquainted with the works of the French Encyclopédistes, and acquired a knowledge of several modern languages. He read randomly and compulsively the works of Spinoza, Voltaire, Bayle and Rousseau. After three years, he returned home with his mind saturated with the deism of Voltaire and the sentimentalism of Rousseau. Undaunted by Isaac’s disregard for business vocation, his father offered to place him in a great commercial company at Bordeaux, but Isaac replied to him disappointingly in a long poem in which he confessed that he disdained a career in commerce, which — as he wrote — is ‘the corruption of man’ (Blake 6), and wanted to devote himself entirely to the study of philosophy and letters. Soon he produced a poem addressed to Dr Samuel Johnson and sent him the manuscript, but the great critic was on his death-bed and could not read it. In 1786, Isaac published in the Gentleman’s Magazine an adulatory essay on Dr Johnson. His father made yet another attempt to send Isaac abroad where he would learn commercial skills, but finally acquiesced reluctantly to his son’s decision to pursue literary interests in which he delighted. In the late 1780s, Isaac travelled through France and Italy, and spent a considerable part of this time in Paris, where he mingled in literary society. Unaware of the impending French Revolution, he devoted himself to the study of French literature. When he returned home in 1788, he brought with him a collection of valuable French and Italian books and a taste for French literature. Shortly afterwards Isaac wrote a poetical epistle to Thomas Warton (1728-1790), the Poet Laureate, ‘On the Abuse of Satire’, which was printed anonymously in the July 1789 issue of the Gentleman’s Magazine. The poem of about a hundred and fifty lines, in the manner of Pope, was an attack on John Wolcot (1738-1819), a satirist better known under a pseudonym Peter Pindar. The poem made quite a stir among the literary circles and Isaac felt encouraged to pursue his literary vocation. In the following year, D’Israeli published a versified essay under the title ‘A Defence of Poetry’, dedicated to the Poet Laureate Henry James Pye (1744-1813), but he publication did not have favourable reviews. At the outset, he wanted to be a poet, but when he did not discover a true poetical vein in himself, he turned to prose writing during the remainder of his long life erudite articles, scholarly books, miscellanies and even romances, without any definite plan for his literary career. A handsome legacy from Isaac’s maternal grandmother, who died in 1791, allowed him to live as a man of independent means (Leonard 5). He rented a comfortable set of chambers on the first floor of the Adelphi House in order to frequent the Reading Room at the British Museum, where he spent most of his time reading and talking to men of letters and publishers. He lived there until his marriage. In 1795, Isaac fell into a mysterious illness and recuperated in Devonshire. Thirty years later, his son Benjamin suffered a similar breakdown (Blake 7). In 1802, Isaac married Miriam (later called Maria) Basevi (1774/5-1847), the youngest daughter of an Italian Jew, who settled in England like his father. Maria’s father, Naphtali, was President of the Board of the Deputies of the British Jews. The couple moved to a house in Bedford Row, now 22 Theobald’s Road. The marriage was happy and issued five children: Sarah (called ‘Sa’, 1802-1859), Benjamin (called ‘Ben’ or ‘Dizzy’, 1804-1881), the future two-time prime minister under Queen Victoria; Naphtali (born in 1807 and deceased in childhood), Rafael (‘Ralph’, 1809-1898) and Jacobus (‘James’ or ‘Jema’, 1813-1868). Isaac’s wife, Maria, remains a mysterious figure. It is only known that she was an aunt of the renowned Victorian architect and surveyor George Basevi (1794-1845). In 1848, Isaac’s son Benjamin Disraeli published a biography of his father, whom he greatly admired, but he made no mention of his mother. Perhaps he felt regret that she underestimated his intellectual ability and cared more for younger brothers. Unlike her husband, Maria was indifferent to Judaism. She was a completely assimilated Jew. It seems that Isaac’s marriage with Maria was strong and stable. No woman could be a better housewife than she who exercised absolute authority in matters of home, relieving her husband from all household care, purchase of clothes and food. However, Isaac felt some regret that she was not interested in his bibliophile studies. Fortunately, the daughter Sarah shared his literary interests and willingly participated in long domestic disputes about books. Already in childhood Sarah revealed a lively intelligence and ability to learn. After the death of her fiancé, William Meredith, she assisted her father as his personal secretary. He entrusted her with the care of his manuscripts. Isaac had never been a particularly sociable person. He was a recluse who spent most of his time at his desk reading or writing books, articles and numerous letters. Family and social life were for him of secondary importance. Isaac D’Israeli was concerned about the deteriorating health of his son Benjamin and his wife, so in 1829 he decided ‘to quit London with all its hourly seductions’ (Hibbert 49) and to rent Bradenham House in Buckinghamshire, a fine, late seventeenth-century manor in the village of Bradenham, about three hours’ coach ride from London. It was undoubtedly a great act of sacrifice for Isaac, who had to resign from frequent visits to the famous Reading Room of the British Museum and the London literary society. He spent with his family the last two decades of his life in his country residence and went to London only occasionally. D’Israeli enlarged and modernised the house, but preserved some panelling and two staircases of the 17th century as well as a fireback dated 1626. He accumulated a large library consisting of some 25,000 volumes. His son Benjamin was very fond of Bradenham, which became for him a temporary escape from London and a place of rest after his youthful exhausting travels. He wrote there parts of some of his novels, including Sybil and Coningsby. In the year of his death (1848), Benjamin, who purchased a nearby manor called Hughenden, inherited his father’s library, but being in serious debt he sold most of the books at Sotheby’s, having taken only a few dozen to his own library. D’Israeli’s eyesight had been steadily declining, but after 1841, he became effectively blind, due to paralysis of the optic nerve, and although he submitted to an operation, his sight was not restored. He was unable to read and write. Esteemed by his contemporaries, D’Israeli died of influenza in the eighty-first year of age, at his country seat, Bradenham House, on 19 January 1848. He was buried beside his wife in Bradenham Church despite the fact that neither of them was converted to Christian faith. Fourteen years after D’Israeli’s death, his daughter-in-law, the Countess of Beaconsfield, the wife of Benjamin Disraeli, erected a monument to his memory on a hill near Hughenden Manor in 1862. Isaac D’Israeli, a self-taught scholar and bibliophile, who never completed any formal training, lived exclusively for literature. He was more than a compiler of literary anecdotes and curiosities. His scholarly writings, today almost forgotten, stimulated a taste for historical inquiry and criticism. He was among the first scholars who made literary history a study, and anticipated modern historicism and cultural studies. His miscellaneous essays, mostly about books and their authors, amusing scholarly anecdotes enlivened antiquarian studies. Almost all his books were popular during his lifetime, but his most enduring reputation will certainly rest on Curiosities of Literature. Blake, Robert. Disraeli. London: Eyre & Spottiswode Publishers, 1967. D’Israeli, Isaac. Curiosities of Literature. London: John Murray, 1791. ____. Literary Miscellanies Including A Dissertation on Anecdotes. A New Edition Enlarged (London: John Murray, 1801. ____. Amenities of Literature, Consisting of Sketches and Characters of English Literature, 3 vols. London: Edward Moxon, 1841. ____. Despotism; Or, The Fall of the Jesuits: A Political Romance, Illustrated by Historical Anecdotes. London: Murray, 1811. ____. The Genius of Judaism. London: Edward Moxon, 1833. Disraeli, Benjamin. ‘On the Life and Writings of Mr. Disraeli’, Curiosities of Literature, 14th ed., 3 vols. London: Edward Moxon, 1849. Endelman, Todd M. ‘Disraeli’s Jewishness Reconsidered’, Modern Judaism 5(2), Gershom Scholem Memorial Issue (May, 1985) 109-123. Ferris, Ina. ‘Antiquarian Authorship: D’Israeli’s Miscellany of Literary Curiosity and the Question of Secondary Genres’, Studies in Romanticism 45. 4 (2006): 523-42. Fineman, Joel. ‘The History of the Anecdote: Fiction and Fiction’ in H. Aram Veeser, ed., The New Historicism. New York: Routledge, 1989; 49-76. Gaston, Sean. ‘Isaac D’Israeli and the Invention of the Literary Character’, Textual Practice 27(5) 2013, 783-803. Jerman, B. R. The Young Disraeli. Princeton NJ: Princeton University Press, 1960. London, April. ‘Isaac D’Israeli and Literary History: Opinion, Anecdote, and Secret History in the Early Nineteenth Century’, Poetics Today, 26 (2005): 351-86. Matthew H.C.G.,(ed.). Dictionary of National Biography. Oxford: Oxford University Press, 1995; reference ‘D’Israeli, Isaac, 1766-1848’. Ogden, James. Isaac D’Israeli. Oxford: Clarendon Press, 1969. Pomare, Carla. Byron and the Discourses of History. London and New York: Routledge, 2016. Schmidt, James. ‘Introduction’ to Moses Mendelssohn, The First English Translations and Biography. Bristol: Thoemmes Press, 2002, v-xxi. Spector, Sheila A. Byron and the Jews. Detroit: Wayne State University Press, 2010. Spevack, Marvin. Curiosities Revisited: The Writings of Isaac D’Israeli. Hildesheim: Georg Olms, 2007. Spevack, Marvin, ed. Isaac D’Israeli on Books: Pre-Victorian Essays on the History of Literature. New Castle, DE: Oak Knoll Press, 2004.